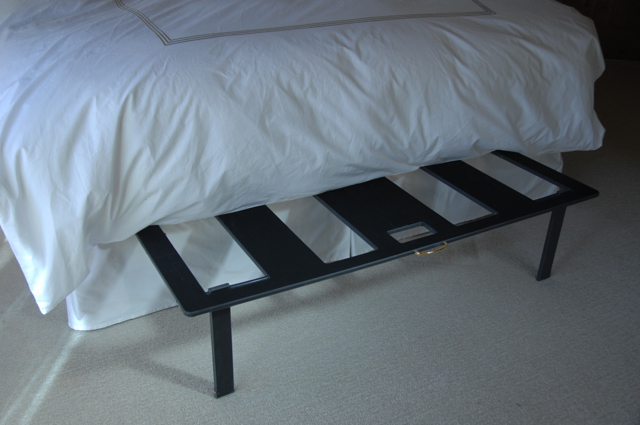 A platform assembly is suitable for insertion and retention between a lower furniture support, such a boxspring of a bed, and an upper furniture support, such as a mattress of a bed. 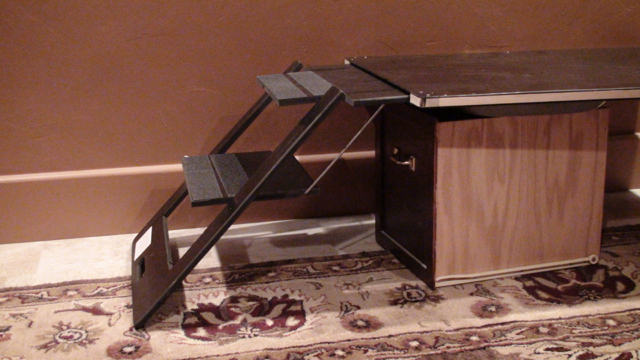 The platform assembly has a housing and a platform provided with foldable legs. When withdrawn from the housing with the legs in the unfolded position and resting on the floor, the platform is able to support a load, such as blankets, pillows, suitcases and the like, and even a pet or small child. This patent covers three products. 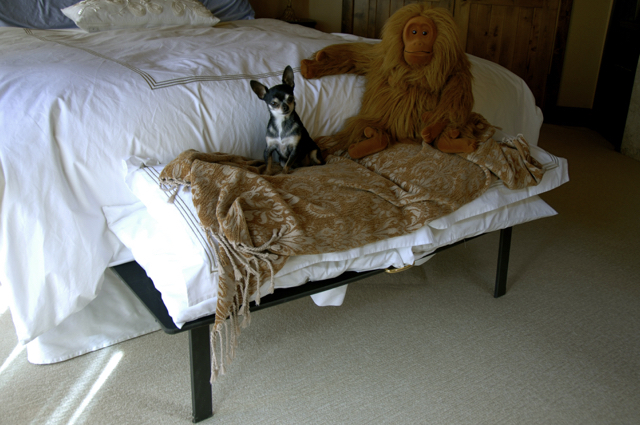 A Bedding Saver platform, Secret Side Table and Secret Pet Step. all Trademarked names. 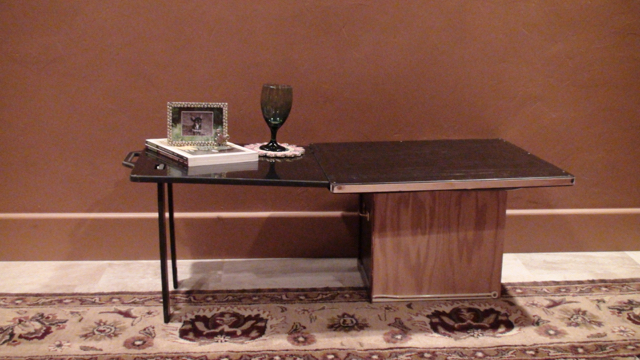 I am looking for a serious licensing agreement or serious buyer of the patent. The Licensee needs to be able to show credentials that qualifies them to handle taking on the products. There has been great interest so the ability to handle large orders would also be very important. The sale of the patent would be considered but would need to be a very serious offer. 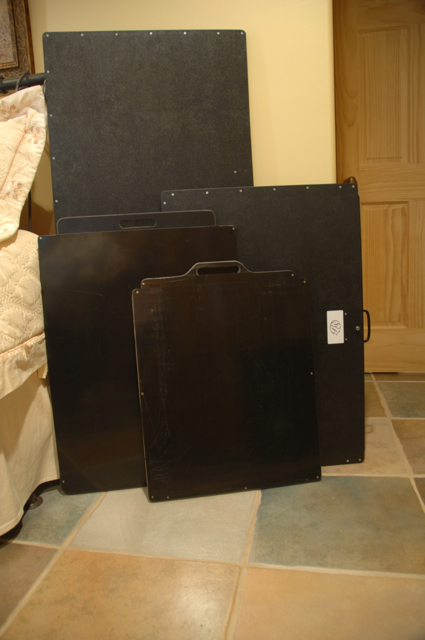 Pictures provided are with prototypes. 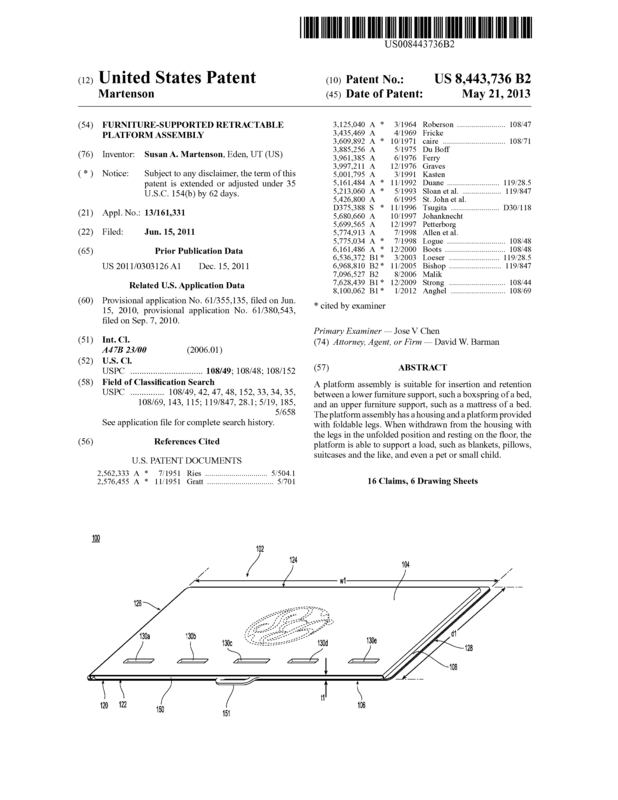 Page created at 2019-04-26 5:58:54, Patent Auction Time.